Not unlike the French sparkling wine region of Champagne, Oregon’s Willamette Valley is a cool area that is turning out to be just about perfect for sparkling wine. And also like Champagne, the Willamette Valley focuses on two of the classic sparkling wine grapes: Pinot Noir and Chardonnay. Oregon’s sparkling wine movement began early, with Argyle Winery in Dundee launching its bubble program during its inaugural 1987 vintage. Today, under the direction of winemaker Nate Klostermann, Argyle makes somewhere around 25,000 cases annually. Cathy Martin, marketing coordinator for Argyle, said the winery produces seven different sparkling wines. While the most popular is Argyle’s Brut, its most high-profile wine is the Extended Tirage, a brut-style wine that is aged for 10 years before being disgorged. Of the 12 Argyle wines that have made Wine Spectator’s annual list of top 100 wines in the world, four have been the Extended Tirage: 1997, 1998, 1999 and 2002. 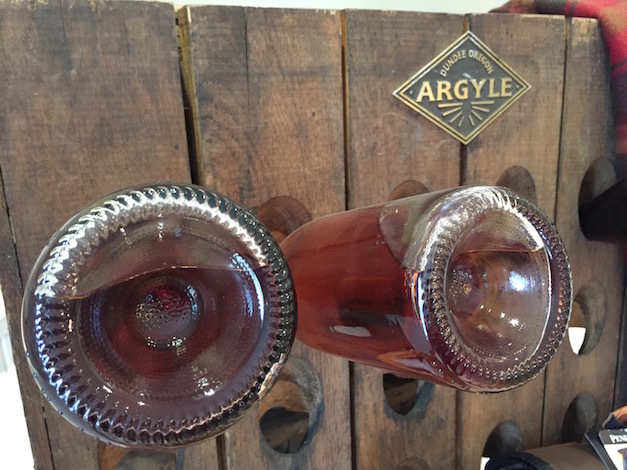 The brainchild for the Extended Tirage and all of Argyle’s sparkling wines is Rollin Soles, the winery’s original winemaker. Klostermann now is aging other sparkling wines in the portfolio with the intent of expanding the Extended Tirage line. A 2007 Extended Tirage Rosé will be released in a couple of years, and aged versions of the Knudsen Vineyard Brut and Blanc de Blancs also are in the pipeline. Currently, the Extended Tirage program is about 1,000 cases annually, with each bottle retailing for about $90. Klostermann said the additional wines will be in small lots of 50 to 100 cases at first. 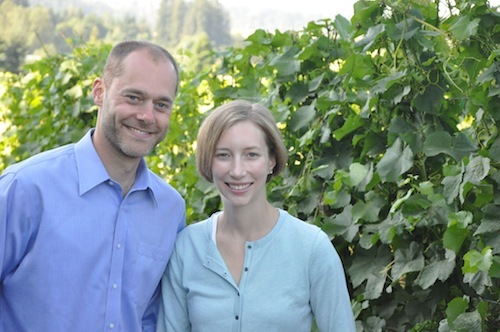 Klostermann began his winemaking career as a harvest intern in 2005. He was fresh out of the University of Minnesota after growing up in nearby Wisconsin. He had plans to become a beer maker but caught the winemaking bug after taking a class during his senior year. But with Soles as his instructor and mentor, Klostermann moved from the crush pad to the lab and finally to the cellar, where he eventually became assistant winemaker. 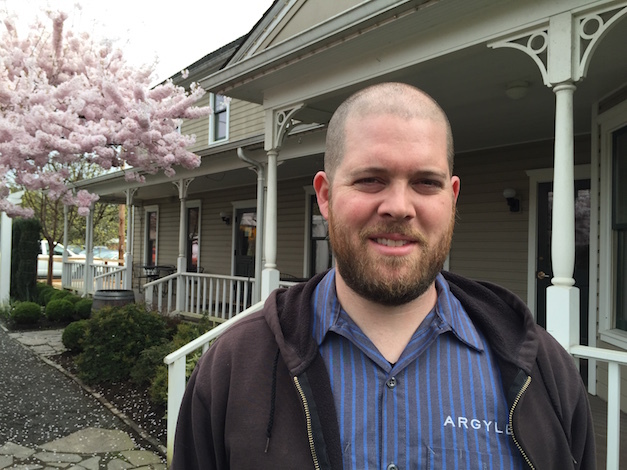 In 2013, Soles left Argyle to focus all of his attention to his own winery, ROCO. Klostermann was then elevated to head winemaker. But Soles is never far away. He has remained on Argyle’s payroll as consulting winemaker, and the two meet regularly. Producing sparkling wine can take several years – three years for the standard brut and a decade for the Extended Tirage – and having the experience of winemaking and viticulture are critical, Klostermann said. That’s one reason he so values Soles’ continued partnership at Argyle. Also springing from Argyle is Radiant Sparkling Wine Co., a mobile bubble-making operation owned and operated by Andrew Davis. Davis, who learned sparkling winemaking under Soles at Argyle, is based in Newberg and already has all the clients he can handle. 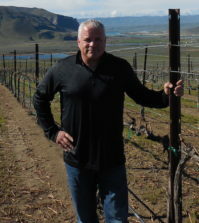 He is working with such wineries as Stoller Family Estate in Dayton, ROCO, Ponzi, Brooks and Trisaetum. Davis, a Montana native, worked in New Zealand before landing in Oregon in 2003. He showed up to interview for a job at Argyle dressed in nice clothes and immediately was directed to help on the crush pad. In 2013, Davis left Argyle to launch Radiant. He purchased the specialized equipment for making sparkling wine that tends to be one of the great barriers for others making bubbly. He produces a minimum of 300 cases for client wineries, bringing his equipment around when it’s time to riddle the wines, disgorge, cork and label. The wines are stored by the winery. Davis also helps with choosing vineyard sites, picking dates, pressing schedules and anything else the client winery needs. Davis still works closely with Soles, who is an investor in Radiant and also provides storage space. All of this means that the Oregon sparkling wine industry is on the verge of becoming much bigger and more interesting as Radiant’s first clients prepare to release their first bottles of bubbles in the next year or two. Here is a rundown of Oregon wineries producing sparkling wine. Argyle Winery: The largest producer of traditional sparkling wines, Argyle has been crafting bubbly since its first vintage in the 1980s. Argyle, based along the highway in the Willamette Valley town of Dundee, is the quality and quantity leader in Oregon sparkling wine. Anne Amie Vineyards: This longtime winery (formerly known as Chateau Benoit) is in the Yamhill-Carlton AVA, and it produces a delicious Brut Rosé using estate Pinot Noir. Apolloni Vineyards: Alfredo Apolloni leads this small family operation near the north Willamette Valley town of Forest Grove, and he focuses on Pinot Gris and Pinot Blanc. He now makes a small amount of sparkling Pinot Blanc that is rich, luscious and shows off the bright fruit typical of western Oregon wines. Castillo de Feliciana Vineyard & Winery: Dentist-turned-vintner Sam Castillo leads this small, family-owned winery on the Oregon side of the Walla Walla Valley. It focuses on Spanish-style wines, but it also makes a small amount of a superb bubbly called Brillánte, which is made using Pinot Blanc. Coeur de Terre Vineyard: This small producer in McMinnville is best known for its Pinot Noirs, and in 2011, it produced a tiny amount of sparkling Riesling. It’s a delicious example that emphasizes bright fruit and acidity. Division Winemaking Co.: Portland vintner Thomas Monroe launched his Crémant de Portland starting with the 2013 vintage, a bottling that includes Chenin Blanc from Willard Farms in Washington’s Yakima Valley, which he’s followed up with his Gamine 2014 Grenache Rosé Petillant. Domaine Meriwether: This winery west of Eugene has long focused on sparkling wines, and that tradition continues. Raymond Walsh makes the wines for Eric and Lorrie Normann, who latter who helped launch Sweet Cheeks Winery. 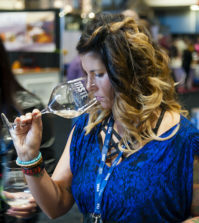 Kramer Vineyards: Second-generation winemaker Kim Kramer has taken over cellar duties for this longtime producer in northern Yamhill County, and she is starting to focus on making some of the best sparkling wines in the Pacific Northwest. She makes four bubbles: Müller-Thurgau, Pinot Gris, Brut and Rosé of Pinot Noir. 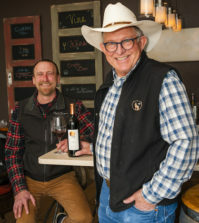 Lundeen Wines: After working for a few other wineries in the Willamette Valley, Michael Lundeen decided in 2005 to launch his own winery in McMinnville. He produces a small amount of vineyard-designated sparkling wine using Pinot Noir, and it is a beauty. Maysara Winery: Based in the McMinnville AVA, this beautiful winery crafts a sparkling rosé made from estate Pinot Noir. Mellen Meyer Winery: This small producer in Portland is just getting started up and will be focusing on crafting small lots of sparkling wine. Ponzi Vineyards: Second-generation winemaker Luisa Ponzi crafted her Cin Cin Brut Rosé from Pinot Noir grapes. Just for fun (and for the kids in the Ponzi family), she also makes a sparkling grape juice from Gewürztraminer called Cugini. Rallison Cellars: Parrett Mountain winemaker Jared Rallison offers three sparkling wines, with a focus on single-vineyard bottlings with varieties native to Burgundy. Raptor Ridge Winery: Owner/winemaker Scott Shull crafts a small amount of vineyard-designated sparkling Pinot Noir rosé at his winery near Newberg. The inaugural vintage was from 2011. St. Josef’s: This longtime winery (more than 30 years old) in Canby makes three different sparklers: Chardonnay, Riesling and Syrah. They are made in the off-dry, semi-sparkling Prosecco style. Season Cellars: One of the more famous names in Oregon wine is Scott Henry of Henry Estate in the Umpqua Valley. Scott Henry IV owns this small winery and has produced a delicious off-dry semi-sparkling wine called Transparency that uses such grapes as Müller-Thurgau, Early Muscat and Riesling. Sokol Blosser: The second generation has taken over this longtime Dundee Hills producer. It makes two sparkling wines. One is a rosé using Pinot Noir, and one is a white sparkling brut under its wildly popular Evolution series. Soter Vineyards: Longtime West Coast winemaker Tony Soter has made a Pinot Noir from estate Mineral Springs Vineyard Pinot Noir for several years, and it’s always among the finest made in Oregon. R. Stuart and Co.: Rob Stuart, who has worked at wineries on both sides of the Columbia River, launched his eponymous brand in McMinnville. He produces two sparkling wines: a dry Chardonnay and a rosé. At the Columbia Gorge Hotel, we are seeking a “local” rose/blush sparkling or meth. champ. 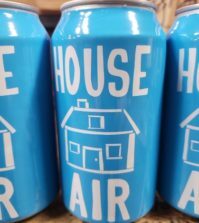 to complete our gamma of house labels. We have the white and red wine blend, a champagne and would love to have a blush champagne/sparkling especially for weddings. Is there a winery that can produce champagne and would be willing to provide a house labeled bottle. The Salish Lodge east of Seattle has worked with the Grieb family at Treveri Cellars in the Yakima Valley on special sparkling wine projects, including rosé. They would be among those I would suggest you consider reaching out to.